SAN FRANCISCO (KGO) -- There was a loud protest Tuesday morning on the campus of City College of San Francisco. Faculty members held a walk out to protest a proposal to shrink classes and cut the number of programs being offered. 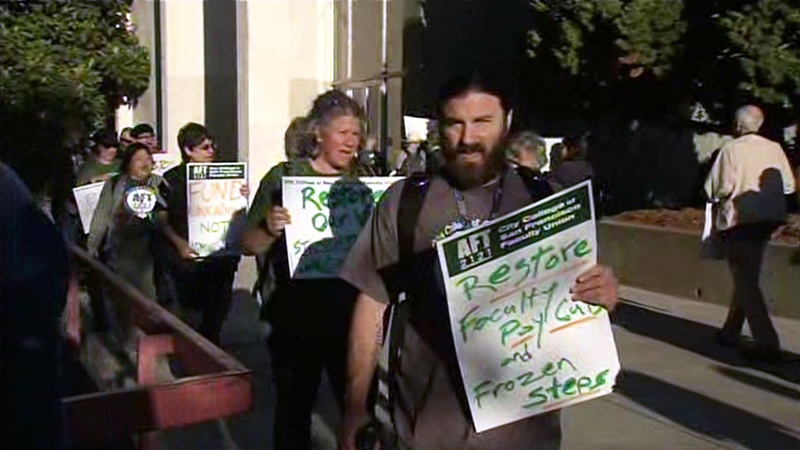 Faculty also called on administrators to increase pay for instructors. Many complained about being poorly paid, despite teaching in one of the most expensive cities in the nation. ABC7 News has contacted City College and we have not yet received a response.